Established in 1995, Planeta is a Sicilian wine producer built on a long agricultural tradition handed down since 1500 through 17 generations in the area between Sambuca di Sicilia and Menfi. 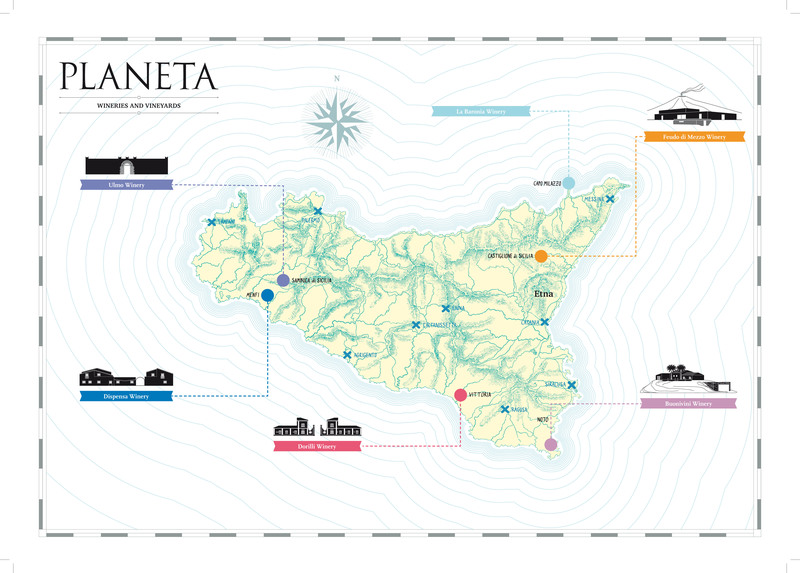 Today Planeta represents not just one, but six wine producing estates, each one representing the different terroirs of Sicily. Ulmo, at Sambuca di Sicilia, Dispensa, at Menfi; Dorilli, at Vittoria; Buonivini at Noto, Feudo di Mezzo at Etna in Castiglione di Sicilia, and finally, La Baronia, at Capo Milazzo. These six estates combine a total surface area of 363 hectares of vineyards.